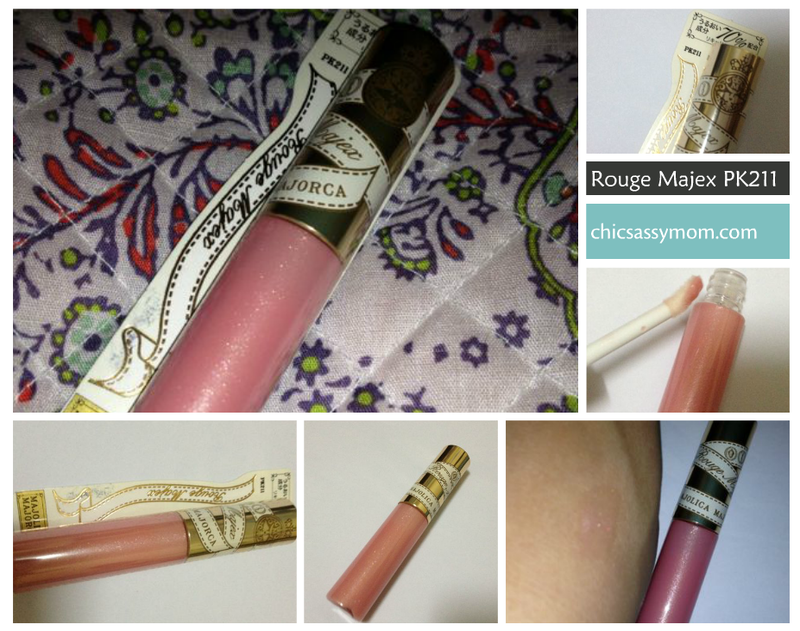 Majolica Majorca Rouge Majex for Php 495. But I got as part of a Php1500 Majolica Majorca three-part set from last time at SM Megamall Department Store Majolica Majorca Counter. It comes with a doe-foot applicator with a yummy milky strawberry scent. Swatch. Most photos are taken under warm white lighting (which we are a big fan of! ), but in daylight, it's light, glittery pink, although almost sheer than light pink. 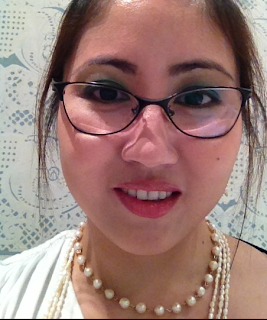 Product Description: Dressier than gloss, but lighter than lipstick...plump, pretty lips. Liquid Rouge with 70% moisturizing ingredients for lips that are feminine yet cute. It looks light pink, but when applied it takes on a natural glossy tint. It's about the same effect as my other Majolica Majolica Honey Pump gloss, only I like the Rouge Majex's better because it's not as sticky and heavy. In fact, it feels almost natural that I didn't mind (and won't mind in the future) using this on several events. 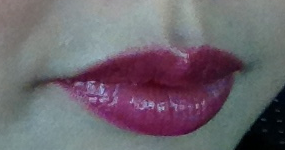 Because in as much as I like glosses, I don't really want them too sticky, this one feels just right. 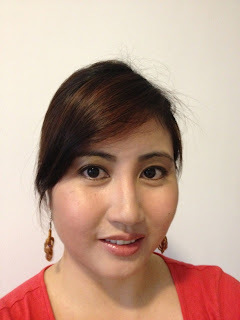 Majolica Majorca Rouge Majex PK211 applied over SkinFood Black Black Bean Lip Line Pencil in Peach Pink. 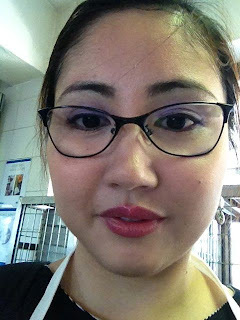 Another great takeaway from my recent MUD-Manila makeup class is that you can use lip liner fully, that is after lining, starting off with the Cupid's bow, also fill/shade the whole lip area. It works as a great base before lipstick application. In this case, it highlights and adds pigments to an almost sheer gloss. FOTD: Face: Innisfree Melting Foundation Shade C2/ SkinFood Gold Caviar Moist Fitting Cake to set; Eye shadows: Urban Decay Omen and Tainted; Eye Liner: Kanebo Kate Eyeliner; Mascara: Lashem Double Trouble; Blush: Majolica Majorca Customize Cheek Blush in RD255; Lips: NYX Edge Pink Lip Liner (full lips) under Majolica Majorca Rouge Majex PK11. This is a great workaround to add pinkish/reddish pigments with the Rouge Majex being almost a translucent. In the end, it makes it more versatile. Overall, this is a handy, pretty even, and functional lip gloss from Majolica Majorca. 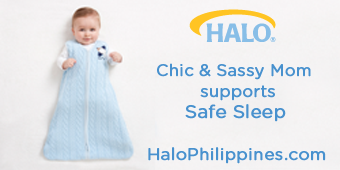 It's currently on my kikay kit. I read that although it has reinforced 70% moisturizing ingredients, others still find this drying. I don't! It must be that I use lip balm more often than not (either EOS or Human Heart Nature Chocolate Lip Balm ;-D) as part of my basic skin care routine, that is before applying make-up. So when I paint my lips per se with lipliner, the lip balm is fully absorbed, and the lip liner glides on smoothly and creamy. This also in a way improved it's lasting power. 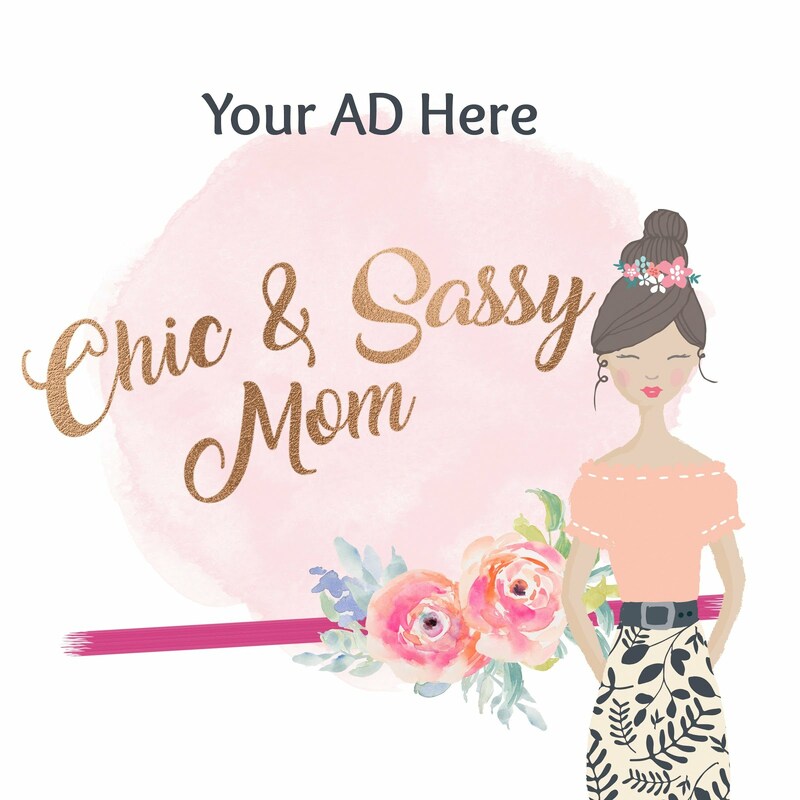 Please note that I pick up this shade as part of a set, so I didn't really have a say on the shade, but there are more reddish (RD419) and brighter pinks (PK404) shades available individually. But I'm standing by my workaround to make it more versatile. That's more economical, instead of getting more shades. I might actually be able to finish this sooner, then opt to try other shades later on.